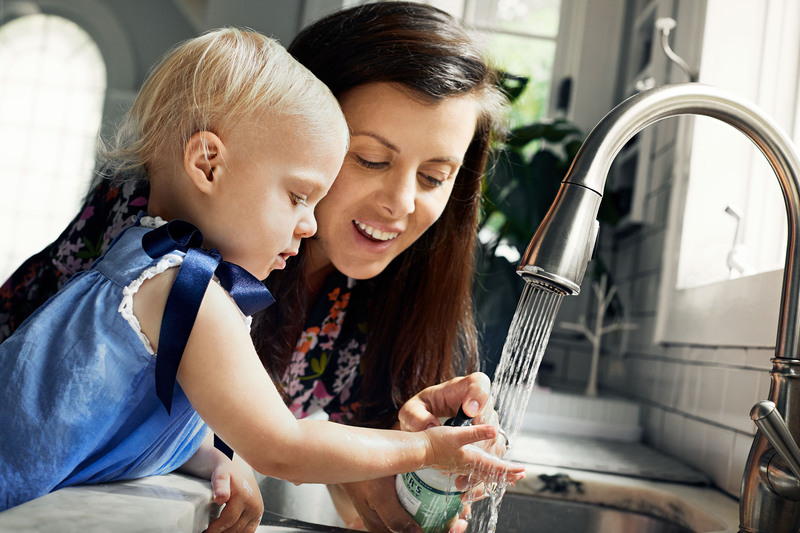 Mother and toddler at kitchen sink learning to wash hands. Happy, emotional lifestyle photograph of mother smiling while squeezing soap into babies hands. Featuring soap and faucet.